Back when I had the Etsy shop, I had to store shipping supplies in my little office. To store those boxes and such, I hung 3 of IKEAs ($4!) 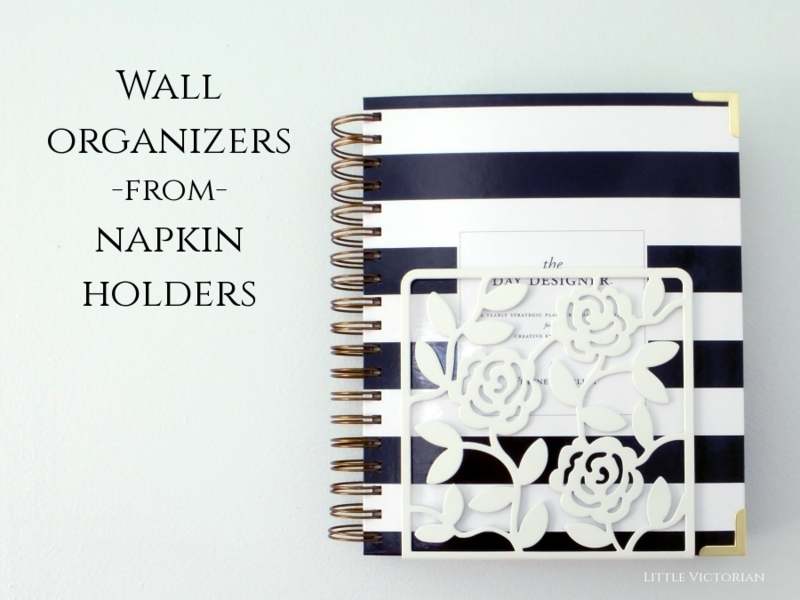 metal napkin holders on the wall and put the supplies inside them. It worked very well, but since I’m no longer selling physical products, I didn’t need the boxes any more. This week, I finally emptied them out and filled them with things that kept cluttering my shelf. 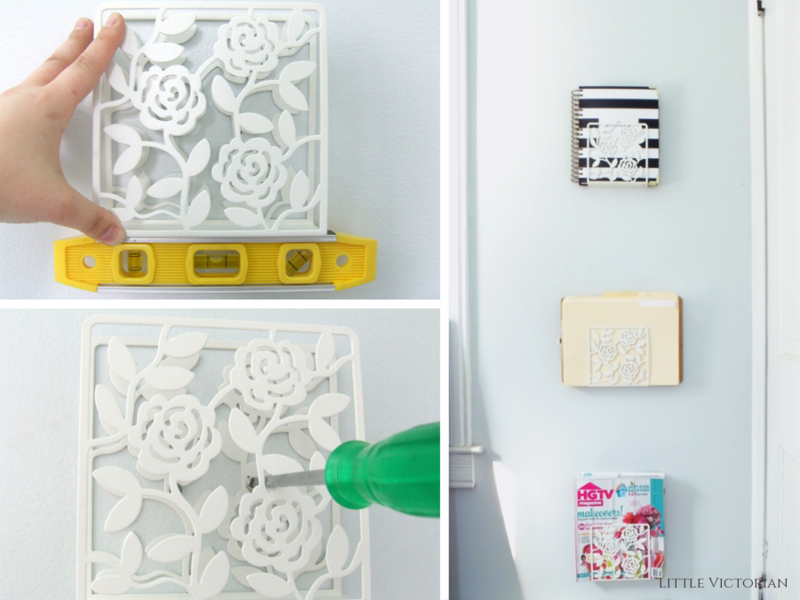 You can go back and read the original post for more details, but it’s pretty simple: level your napkin holder on the wall and screw it into a stud! Ever since I cleared my desk of everything but a tiny tray and my lamp, I could never go back to having anything else on my desk. So these little wall shelves to hold my planner and papers are so helpful. Now I just need a few cute file folders (some black and white ones to match my day planner would be nice) and it’ll be perfect. This was such an inspiring idea even originally. Those look so good in it’s new function too. Thank you! I don’t know why I didn’t make use of them sooner. That is such a great idea! I admire how organized you are! K, genius, much??!!? I JUST had the thought to use a napkin holder for files in my office, but that mostly came from me not loving the thing as a napkin holder because it just requires too many napkins and I always have to refill it because the napkins flop over! K… ranting. Sorry! This is just seriously too good of an idea! Ha! Thanks, Tahlita. 🙂 The same thing happened with your boot tray…I had to show the Hubs that post, because I’d had a bag of rocks sitting in a boot tray for months.